The cloud journey has become a necessity for organization because the role of technology in the enterprise is undergoing an evolution – it’s no longer just supports the core business, it Is the core business itself. As a result, the business is placing a new set of demands on IT that require increased agility and flexibility to deliver the best possible solutions for customers. As IT’s role becomes more and more strategic, customers look to cloud as a way of becoming more agile and robust to address this demand. As a premier cloud solutions provider, our focus is less on the tools you implement, and more on the goals you want to achieve. Tell us your business challenges and goals, and we can tell you how to get there, and what tools you do (or don’t) need. Working closely with industry leading cloud platform providers such as Microsoft, Amazon and Google, Velvot systems expert business consultants and technology gurus will evaluate your business needs, processes, workflows and current infrastructure challenges and provide you with the best solutions available in a timely, cost-effective manner. Microsoft Dynamics 365 features customer data automation, better marketing management, comprehensive account planning, social listening and analytics. Office 365 is a productivity powerhouse including standards like Outlook, Word, Excel plus new tools like OneDrive, Power BI, Skype for Business, Delve, and SharePoint Online. Azure is a cost-effective solution allowing you to add IT flexibility and security to your business. It delivers secure sign-on across devices, access management features plus backup and geo-replication. Amazon Elastic Compute Cloud (Amazon EC2) is a web service that provides secure, resizable compute capacity in the cloud. It is designed to make web-scale cloud computing easier for developers. Amazon EC2’s simple web service interface allows you to obtain and configure capacity with minimal friction. Get Gmail, Docs, Drive, Calendar, Meet and more for business. G Suite is a cloud-based productivity suite that empowers your company to work effectively and collaboratively in the digital world in order to thrive in your industry. With Google Cloud Platform (GCP), you can mix and match elements to fit your needs, and use flexible virtual machines and a full management services for enhanced processing and storage options. Google is once again creating new ways to give your business the competitive edge in the digital age. Keep photos, stories, designs, drawings, recordings, videos, and more. Access files anytime, anywhere from your desktop and mobile devices. Control how files are shared. Much like technology, a thriving business must be profitable, reliable, and easily accessible to partners and clients. Google Maps allow you to engage customers and provide seamless user experiences for your end users. With several available APIs, Google is making it easier than ever to capitalize on Maps for marketing and sales. Companies moving to the cloud report better ROI, reduced hardware footprint and application maintenance burden, more agility, improved collaboration, ease of access from anywhere and any device, Increase productivity and lower cost of ownership. From software to storage, learn how your business can harness the efficiency and power of the cloud.  Velvot is a premier cloud solutions provider with a focus on customer success. Our services include cloud consulting, cloud migrations, managed services, custom app development, change management and modern IT infrastructure services. Here are some of the customers we’ve helped optimize their technology investments. Velvot has the technical and advisory expertise to help you take advantage of cloud solutions that transform your enterprise into a digital business. Say goodbye to a costly and complex Infrastructure by embracing the public cloud only solutions for your business agility and growth. We help you Connect your existing Infrastructure with the cloud for higher availability and replication. Bridge with the cloud. We help you manage your Infrastructure and data in-house and still access it from everywhere on any device. Have your own private Cloud. Are you ready to move your business to the cloud or wondering what it takes to make this happen with cloud services and tools?, we will help you deploy and manage a full cloud IT solution for your small to medium businesses with our expertise in providing cloud-only services and building secure and reliable solutions for businesses of the future. When it comes to delivering software, services, or applications from the cloud, only the most agile survive. To maintain a competitive edge, you need to plan several steps ahead at all times. But the challenge goes beyond speed and agility. Scalability, performance, reliability, and security all contribute to your ability to deliver domain-specific value and superior service. And a service is only as good as the architecture it’s built on. You need a solution that enables you to build a high-performance, highly reliable public cloud that can deliver software as a service (SaaS) and many other types of “XaaS” offerings with adaptability, intelligence, and scale. Our cloud solutions are more than just a network. They are the high-performance, always-on, always-secure foundation that intelligently connects users, data, and applications within and between clouds to create true business value. We help you create a single user identity for authentication and authorization to all resources, regardless of location. We call this hybrid identity. Identity for SaaS and PaaS hybrid scenarios can include Azure AD as a common identity provider, which can be synchronized with your on-premises Windows Server AD, or federated with Windows Server AD or other identity providers. we help you also extend your on-premises Identity infrastructure to Azure IaaS. Networking for hybrid cloud scenarios includes the connectivity to cloud platforms and services and enough bandwidth to be performance under peak loads. Security for hybrid cloud scenarios includes protection and management for your identities, data protection, administrative privilege management, threat awareness, and the implementation of governance and security policies. Management for hybrid cloud scenarios includes the ability to maintain settings, data, accounts, policies, and permissions and to monitor the ongoing health of the elements of the scenario and its performance. You can also use the same tool set, such as Systems Management Server, for managing virtual machines in IaaS.